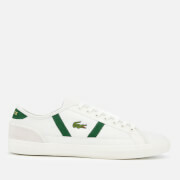 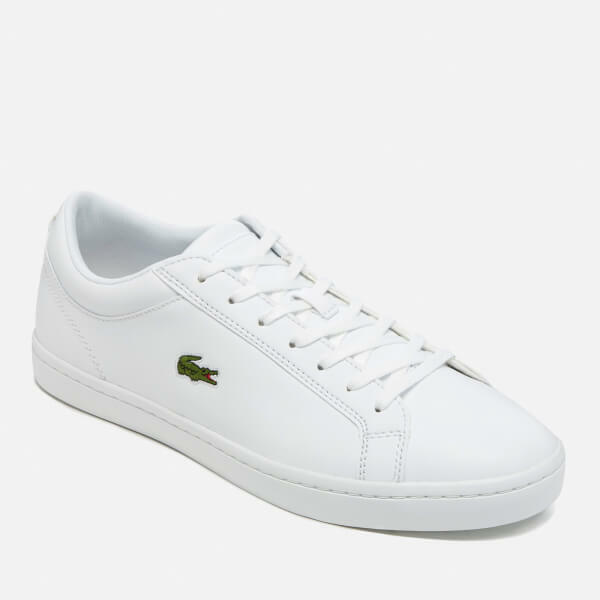 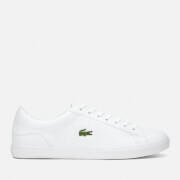 Men’s ‘Straightset’ leather trainers from Lacoste. 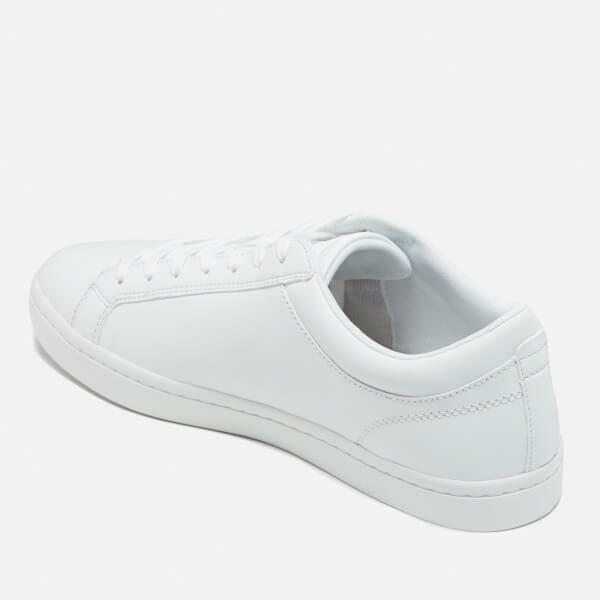 Constructed from premium smooth leather uppers with canvas trims, the low top sneakers feature a padded collar, lace up fastening and rounded toe. 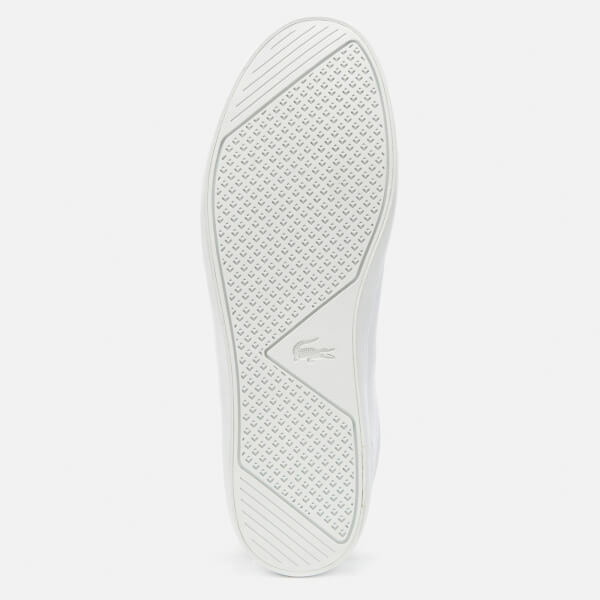 Set upon a molded rubber cupsole with breathable OrthoLite insole for enhanced comfort. 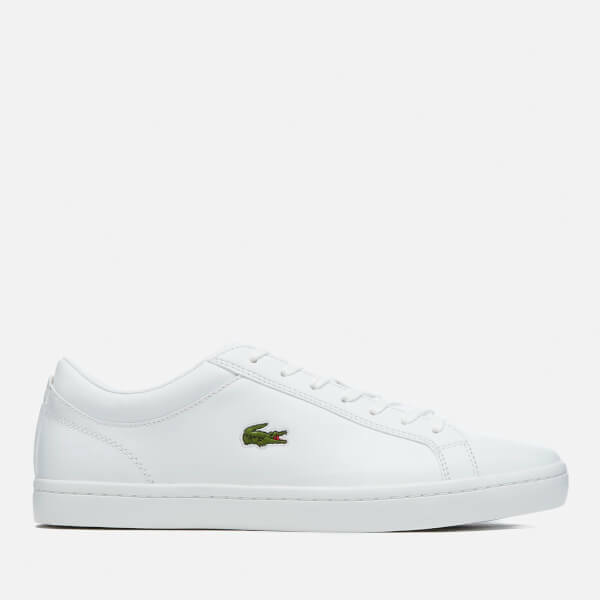 Finished with the label’s iconic crocodile emblem to the side.